Drop by the library from 1-4 pm for a chance to touch sea urchins, moon snails, sea stars and more! 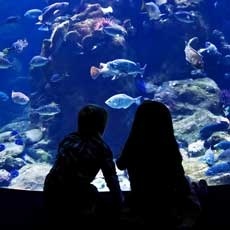 The New England Aquarium brings 3-4 touch tanks representing marine habitats. Learn about the animals that call these areas home. This program is generously sponsored by the Friends of Middleborough Public Library.